La Calavera Catrina, also known as "The Dapper Dead" is a depiction of a woman by illustrator and lithographer José Guadalupe Posada in his cartoons from 1920 to 1913. Since then it has been brought into the Day of the Dead Culture by the beautiful women dressed in high class costumes, and wearing makeup to make themselves look like ghastly skeletons of the dead. It's no horror movie or holiday though. It's a great celebration of those we cherish who have gone on to the next life! And with every fiesta means a party! Seriously though, that's literally what it means. Ready to dawn the hat of aristocracy and become your very own take on La Calavera Catrina? 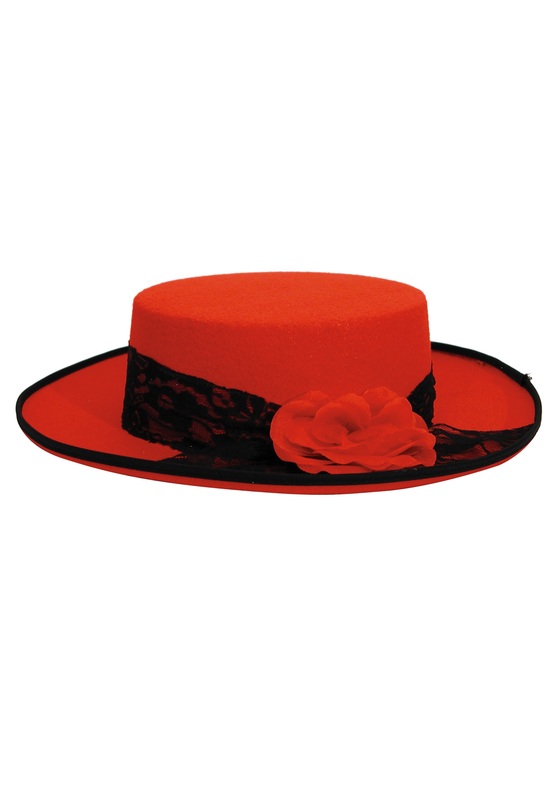 Why not start with this fantastic deep red hat. The black lace against the scarlet possesses a striking beauty that is sure to accent your own along with any red or black dress you pair it with. We can already hear the Mariachi bands playing!